The Rossies are heading to Ruislip. John Evans has recalled Donie Shine to his Roscommon starting side. ROSCOMMON HAVE MADE six changes for Sunday’s Connacht opener against London from the team that saw off Down in last month’s Division 2 football league final. Seanie McDermott and Donal Ward come into the defence while Mark Healy is handed a championship debut as he starts at midfield. Enda Smith, Donie Shine and Diarmuid Murtagh are all handed starting berths in attack. David Murray, Conor Daly, Kevin Higgins, Donie Smith, Ronan Stack and Cian Connolly are the players to make way from the team that defeated Down. London boss Paul Coggins has handed championship debuts to Scott Conroy, James Moran and Alan O’Hara, while centre back Caoimhin Carty is given a first start after coming on against Limerick in last year’s qualifier. 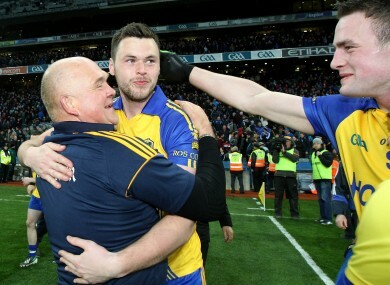 Email “John Evans makes 6 changes to Roscommon team as London hand out 3 debuts”. Feedback on “John Evans makes 6 changes to Roscommon team as London hand out 3 debuts”.